Yesterday I blogged my stroll through town, but didn’t finish. 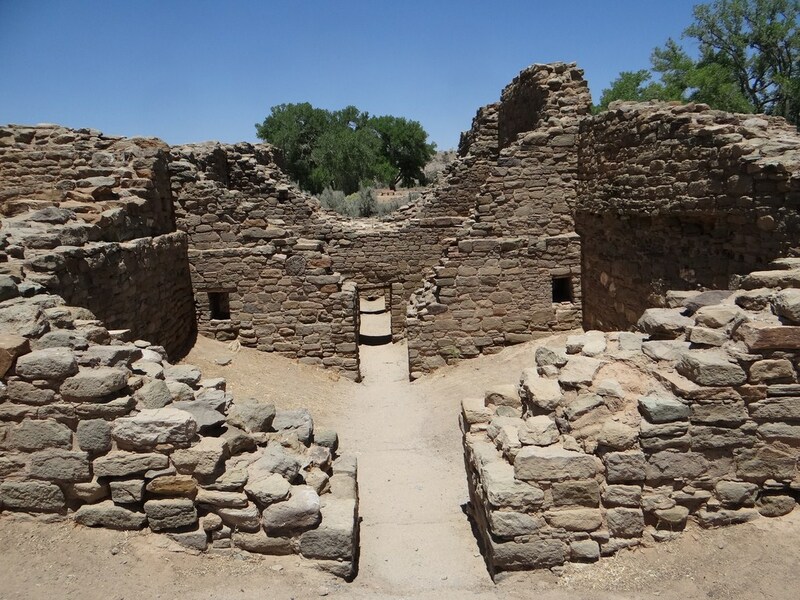 We left Durango and visited the Aztec Ruins in Aztec, NM. and parked at Navajo Lake St. Park where we will stay until Sunday. We are winding down as I prepare to fly to Murphys for my family reunion. Jim is still on pain meds and needs to slow down as well. We both seem to run out of energy, and need more sleep since the accident. First I want to take you to an unusual museum. The photograph I took is poor in that a museum of historical documents, all under glass, do not photograph well. And, since this is my first photograph to load, I’m finding the signal here is painfully slow. Located in a nice plaza surrounded by other businesses, a cafe, etc. at 835 Main St., it may be just what you’d like to see. 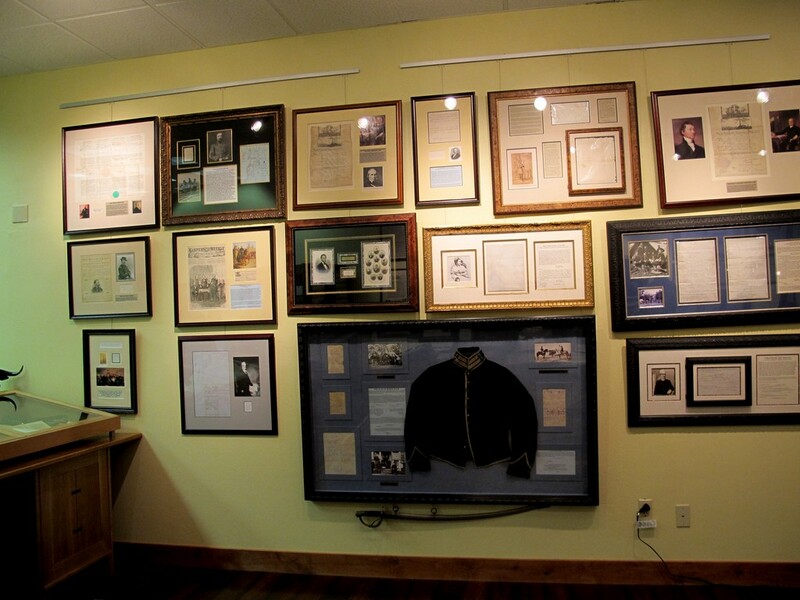 R. H. Crossland was a dynamic collector of old documents, and this museum and foundation was started in 2003. It has since benefited local and national charities with $1,200,000. 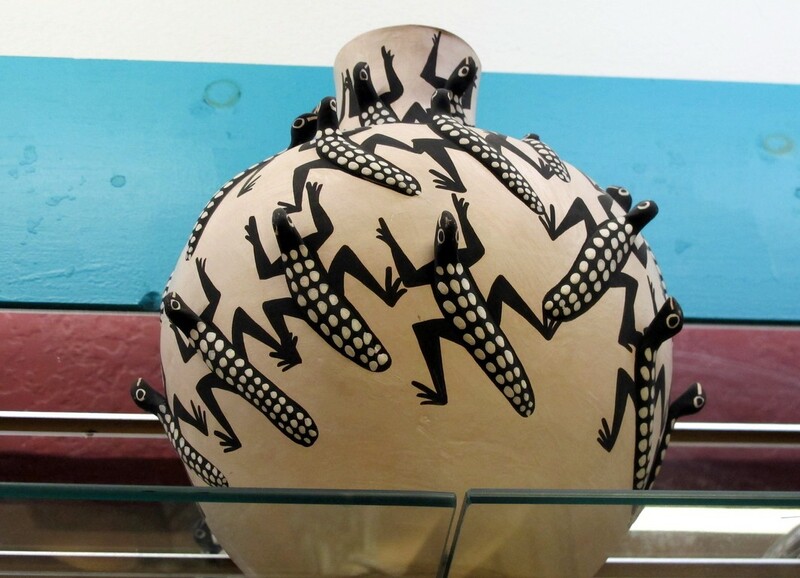 Ocoma pottery is famed for its strength and thinness. This piece from the Durango Art Center is stellar but the price was way out of my price range. I knew that from looking at smaller pieces. This one had no price tag. 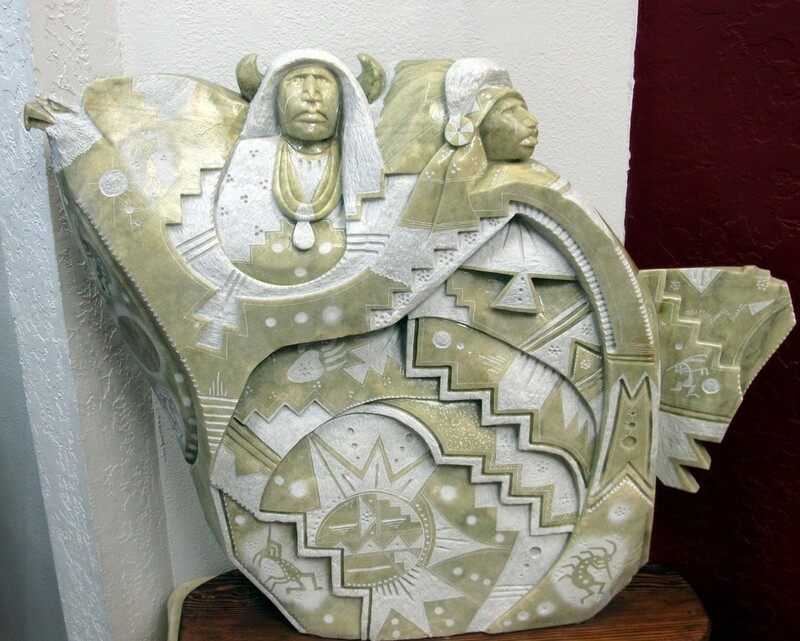 An alabaster sculpture by James Joe III, another Native American piece in a Gallery with great diversity; six exhibits yearly of national and international artists. High end fine arts and photography. With pictures loading so slowly, I will hasten on to mention the plethora of choices in this very concentrated area of Old Town Durango. 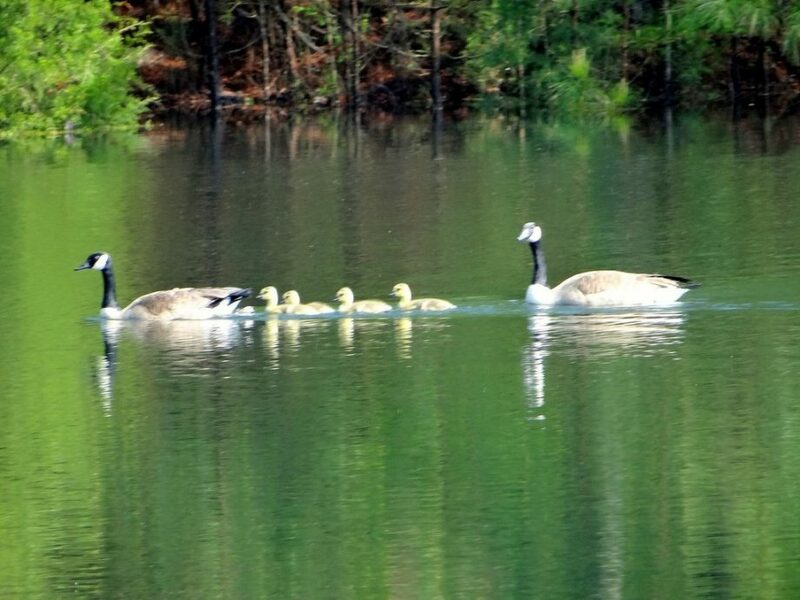 Wildshots-Claude Steelman landscapes and wildlife. 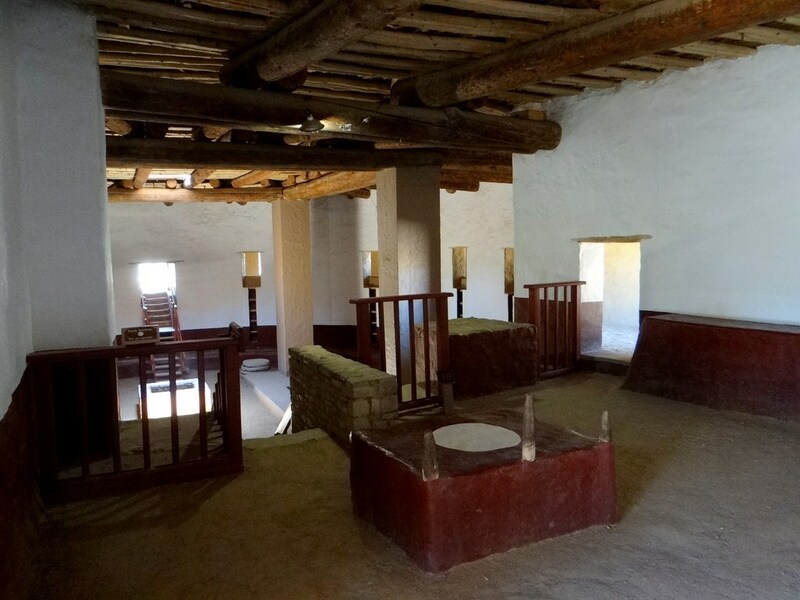 Toh-Atin, specializes in Navajo weaving, jewelry, pottery, paintings and sculpture. Azul features unique jewelry, glass wall art and multimedia pieces featuring local, national and international artists. Earthen Vessel features hand crafted eclectic pieces, handmade and unique, metal and wearable art, pottery, jewelry. There are many more galleries to visit. I needed another day. 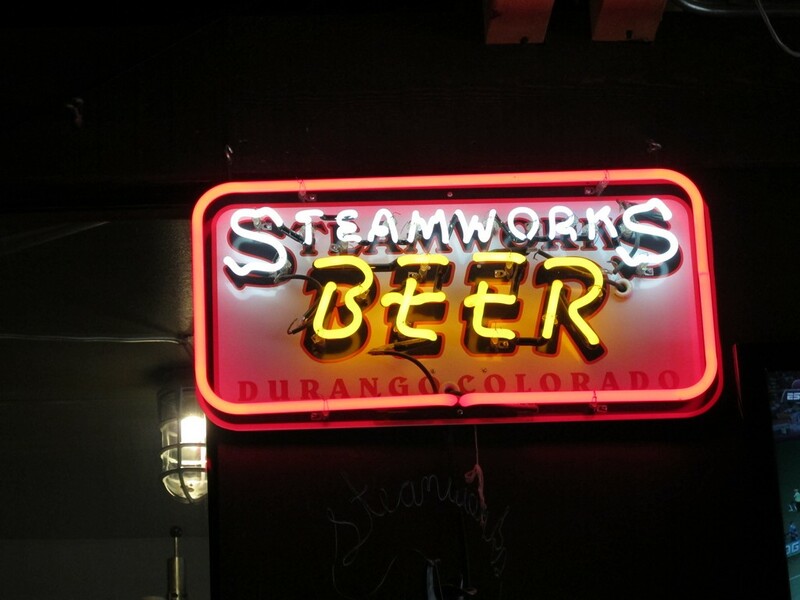 We stopped to have a micro-brew at the Steamworks. Great atmosphere, good food. Peanut shells on the floor reminded me of Larry Blakes Long Table Dinners in Berkeley, CA in the 1950’s. I like stouts and porters with nice thick butter, chewy chocolate and coffee hops. I found this large foamy headed beer disappointing, and a taste of the wheat beer left me wondering wherze the fruit? But, Coloradans seem to like it that way and you may too. 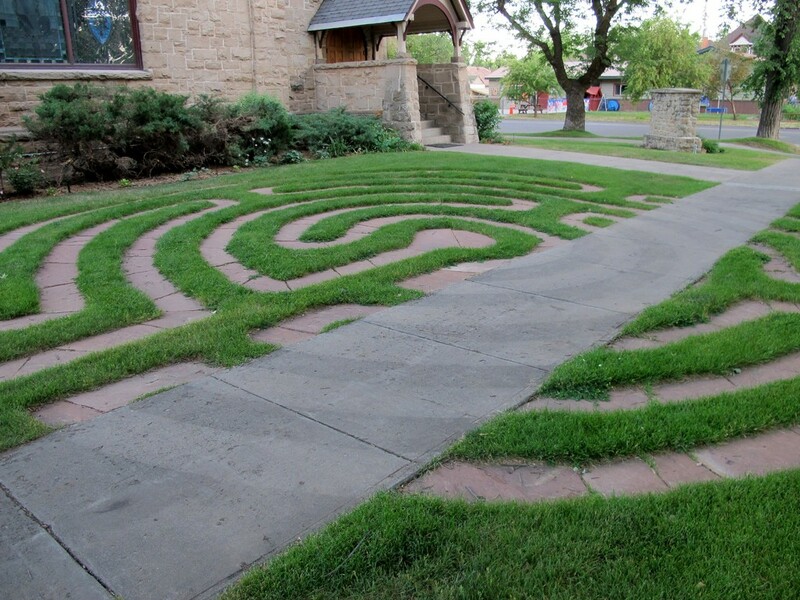 On the side street, St. Marks Presbyterian Church had an interesting labyrinth in honor of a revered rector. And this apparatus is an electric meter, like nothing I’ve ever seen before. One neighborhood person told me that from the inside of the house, the customer slides a card and gets, say, $20 worth of electricity, or whatever that person can afford. 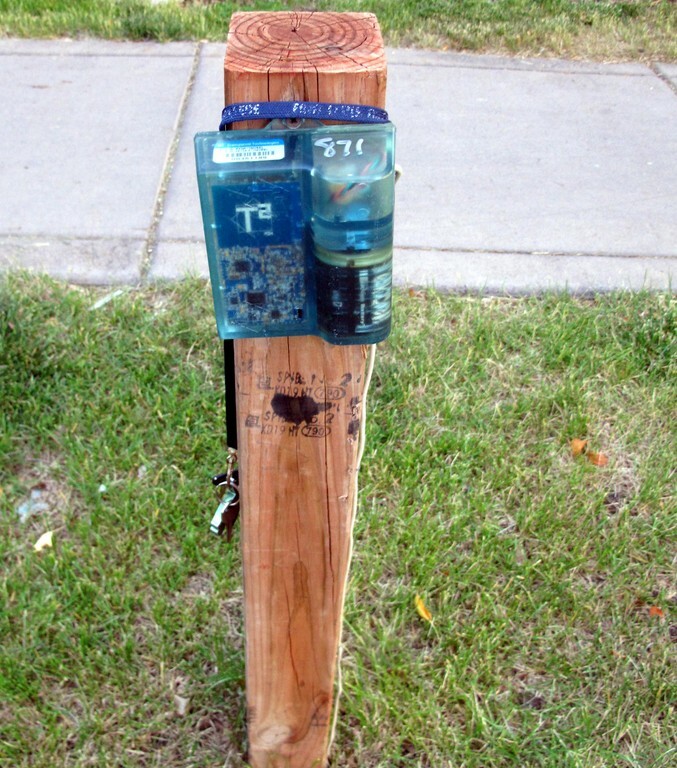 On this particular meter, someone has placed a lost set of keys found nearby. 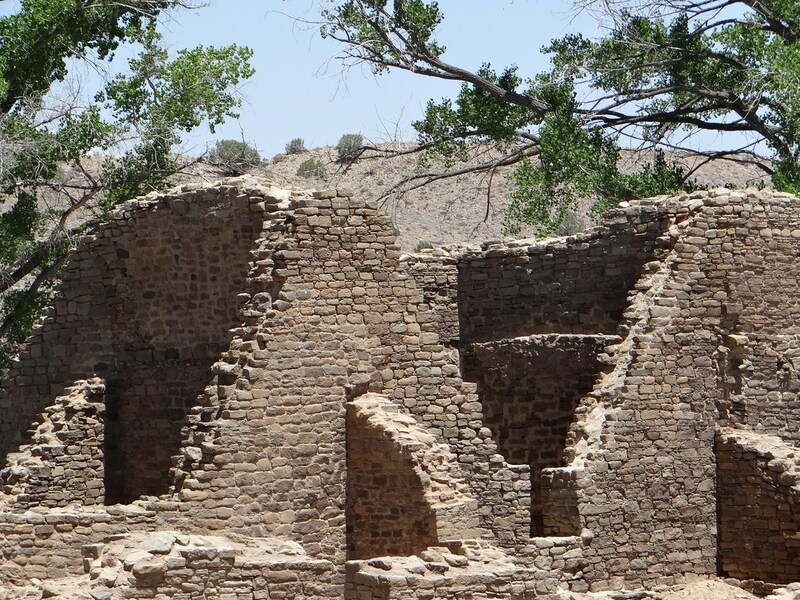 But, hurrying on to the Aztec Ruins in Aztec, N.M. We’ve seen so many beautiful ruins that we hesitated to drive the 20 miles out of our way in the wrong direction to come here. 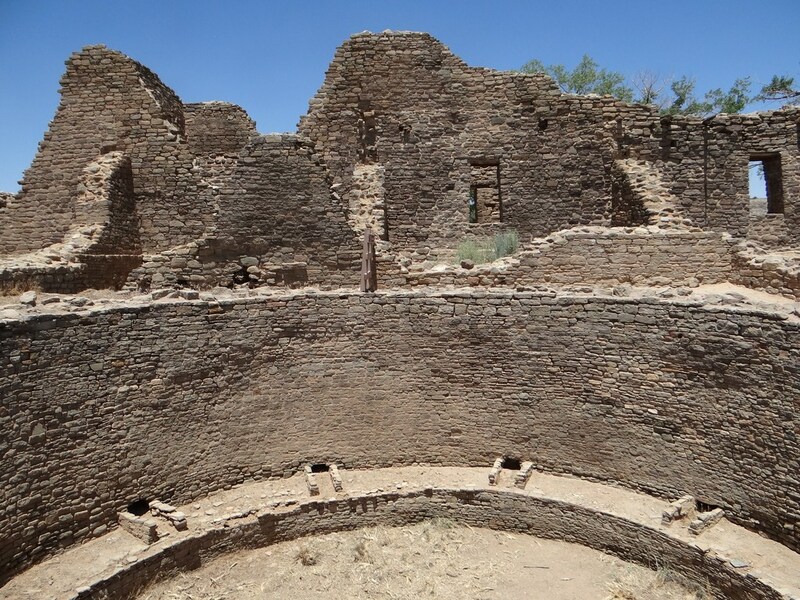 The first thing you learn is the ruins are not Aztec, but early on people thought so. The town was named after the ruins, so the name sticks. 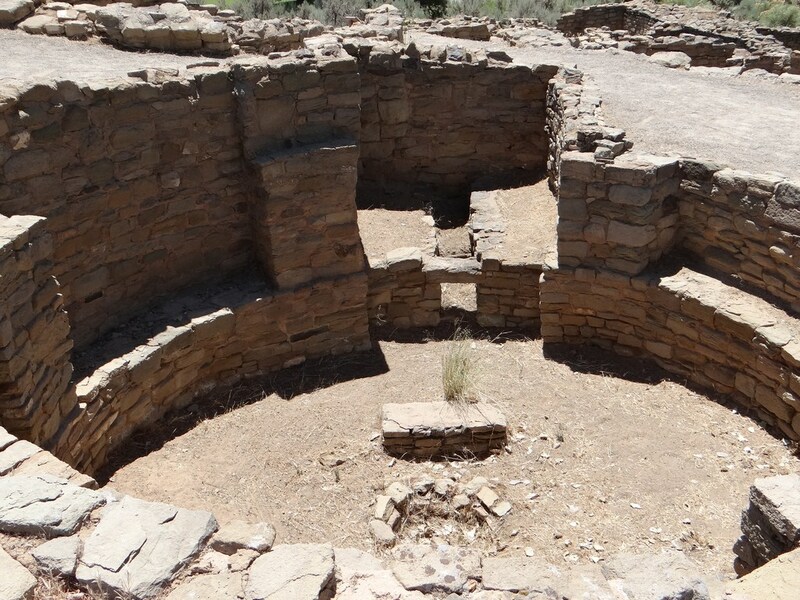 It is Anasazi as the others. 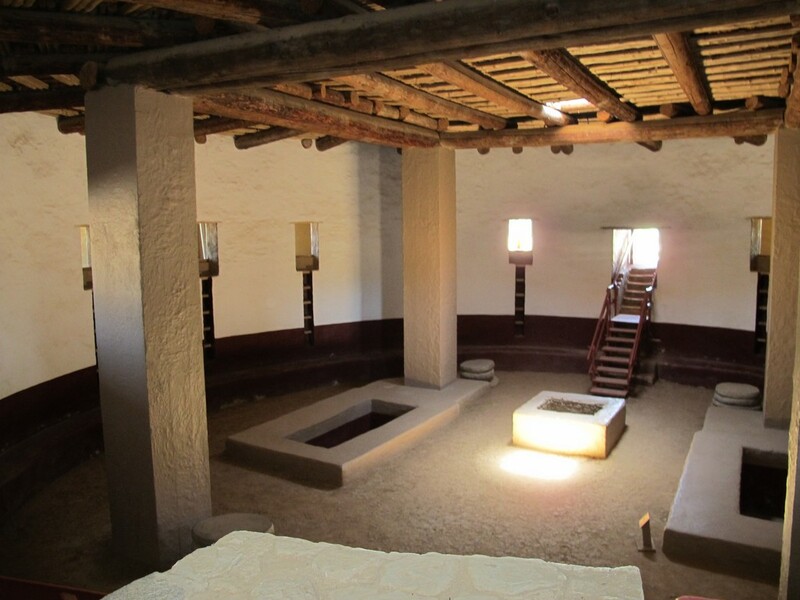 Each one has unique features and this place had some very complete areas, showing how inhabitants moved from room to room to get anywhere. There were no hallways. The construction points are much more obvious here. They didn’t know how to dovetail corners in their masonry and that is why many walls fell. 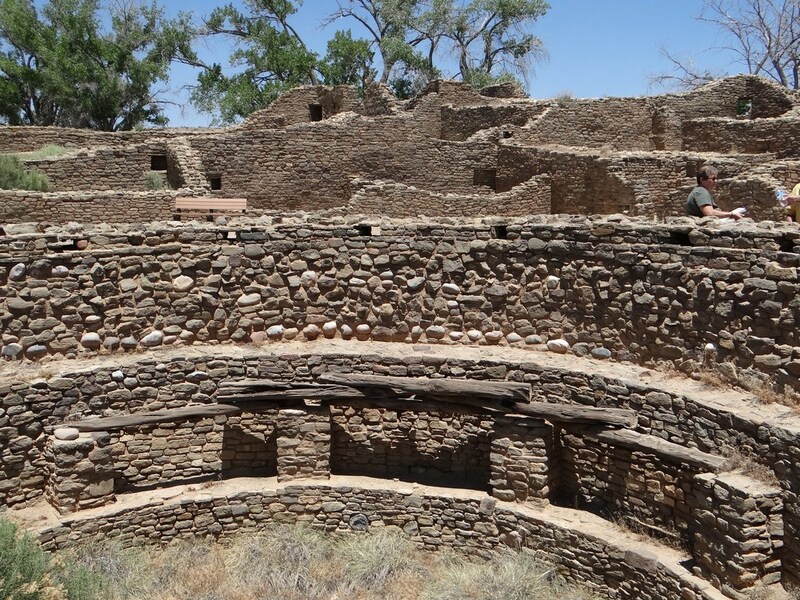 But the major jewel of this ruins is a huge, reconstructed, kiva. 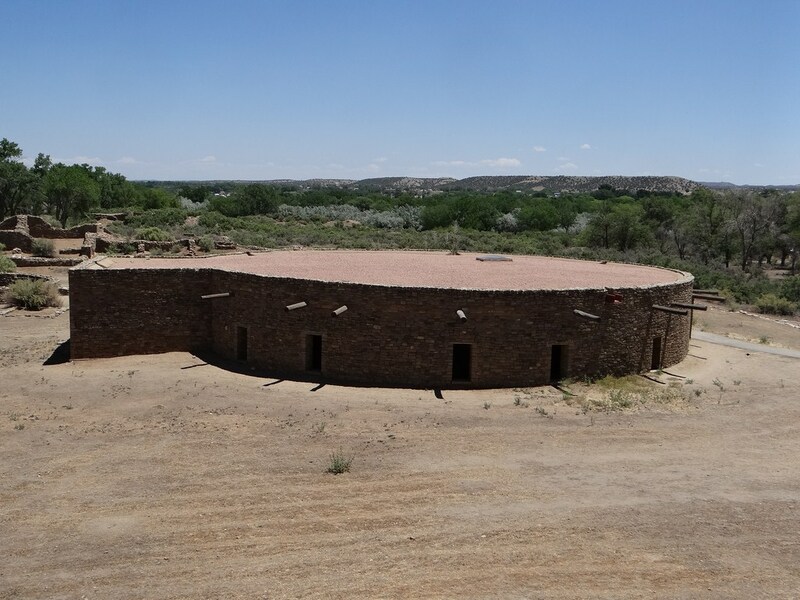 An overview of the grounds shows this kiva with a square entrance attached to a round building. And, all around are keyhole entrances only useable to get out from the bottom half of the building which is underground. 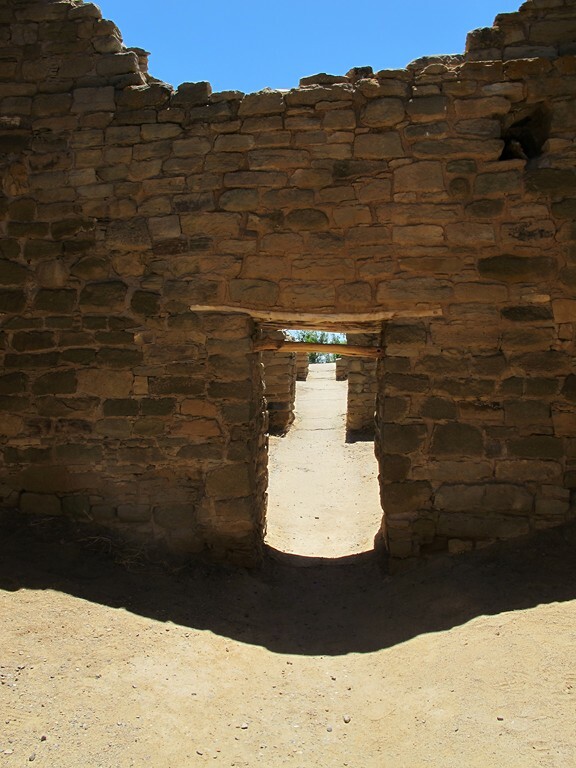 You didn’t have to enter this kiva through a hole in the roof, quite an advancement in building skills, compared to the builders at Chaco Canyon which we missed because of the accident. 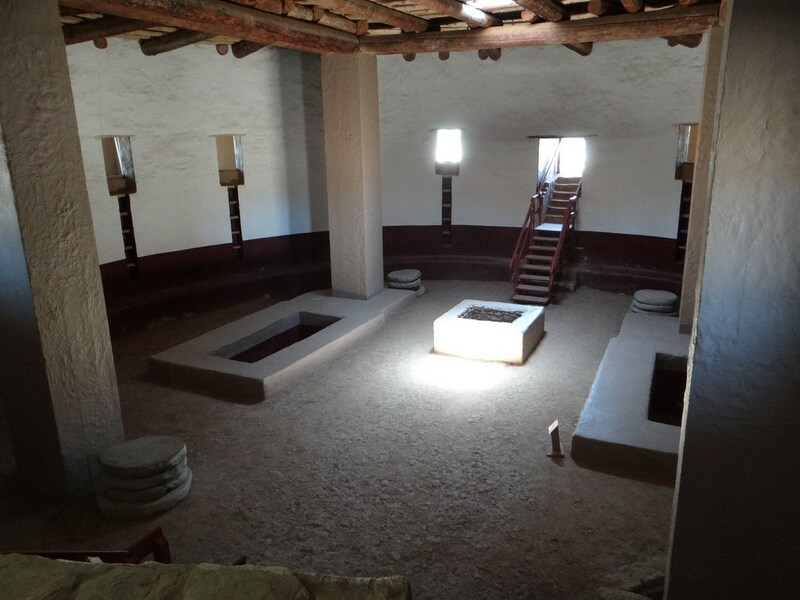 An overview of the inside of the great kiva, shows the huge columns used to hold up a heavy roof. The keyhole entrances are a way out, and are windows for light. 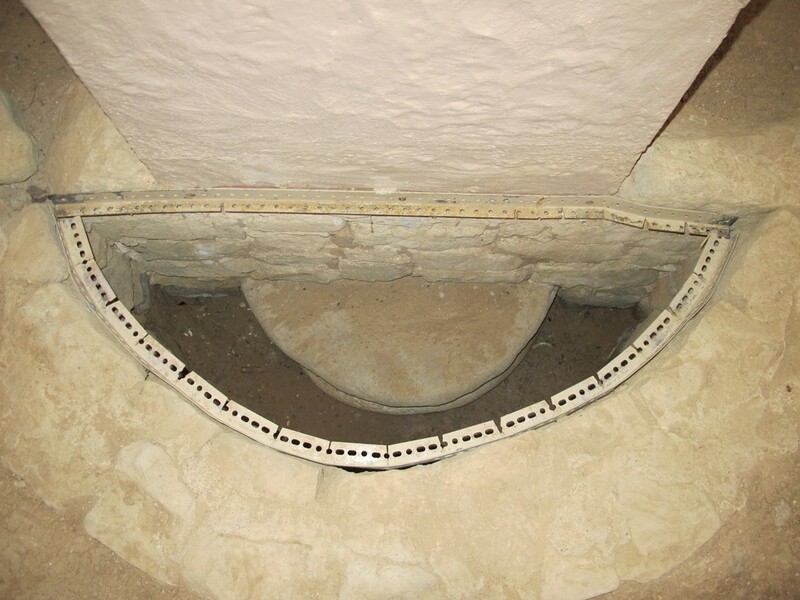 Stone steps led into the chamber from two sides, also very advanced. 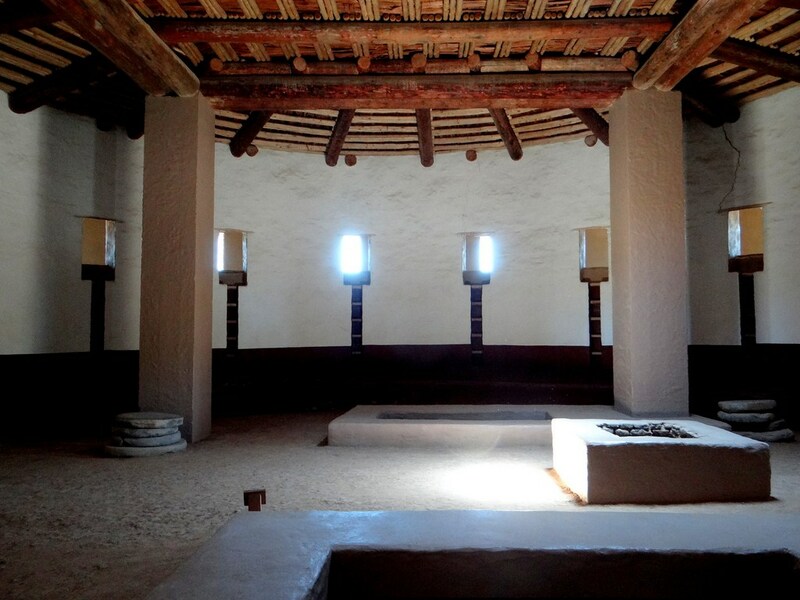 Stone benches surround the circular kiva for the celebrants. 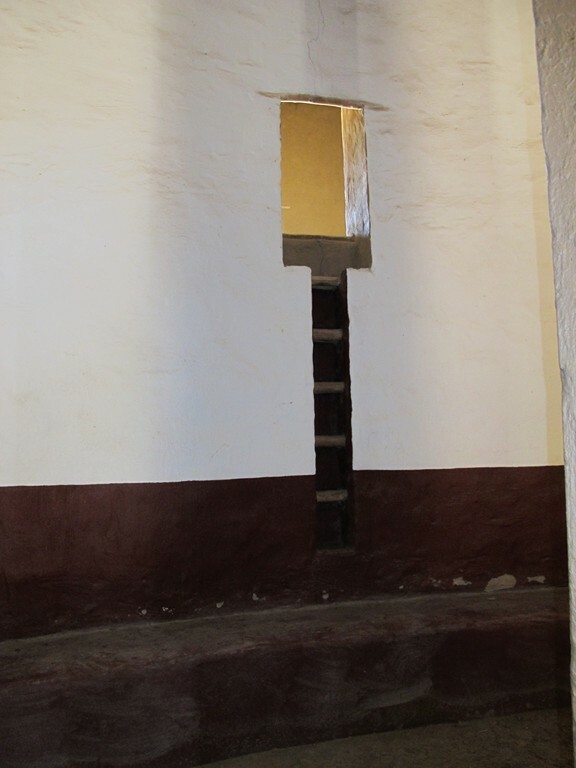 The keyholes reveal a strong ladder but only eight inches wide. It would take some practice to go out in such a manner. Perhaps the ladders are just for building repair? 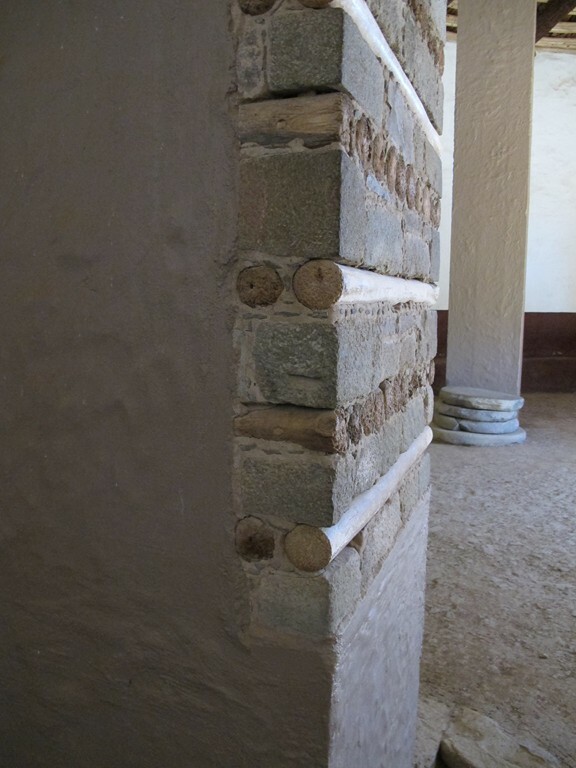 A reveal of the column’s foundation shows how it was constructed. It is centered on a huge round stone slab. A second reveal shows construction of the column itself. And, in the background, huge stone slabs that were carved by some unknown stonemason of long ago. This was worth the visit, even though we’ve seen other great ruins. Yesterday we drove the motorhome the about 60 miles from Durango, Colorado to the Cottonwood Campground at Navajo Lake State Park at Navajo Dam, New Mexico. Photographing ancient ruins is another joy of the full-time RVing lifestyle!